People prefer to install a practical and stylish floor covering that is both strong and durable. With marble, limestone, slate, and granite stones, there are vivid flooring materials. All natural stones have their pros and cons from the perspective of end users. When it comes to choosing the right stone, granite floor outshines all other stone choices with its functionality and added value. These days, designs of granite floor slabs and tiles are popular due to the factors of strength, resiliency, and color alternatives. 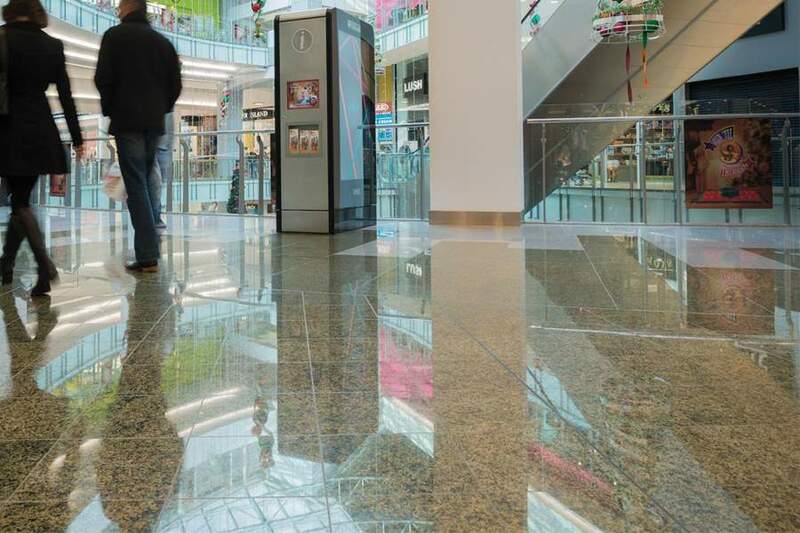 Below these lines, check out why granite flooring options are good to walk on and what Indian suppliers have for interested buyers. Granite floor adds a warm tone, character and sophistication to all surroundings. It is available in a big array of colors with attractive patterns. It is a very low maintenance floor if installed properly. You can have this floor in a tip-top shape with frequent sweeping and occasional mopping. Being a non-porous material, it easily resists water seepage. With a highly shining surface, it is very easy to maintain. It is good for high traffic areas due to its hard surface. The hard surface of granite makes it long lasting and affordable. Granite colors don’t fade easily. Sealing makes granite resistant to high temperatures and stains. With all these features, it simply overcomes all expectations. 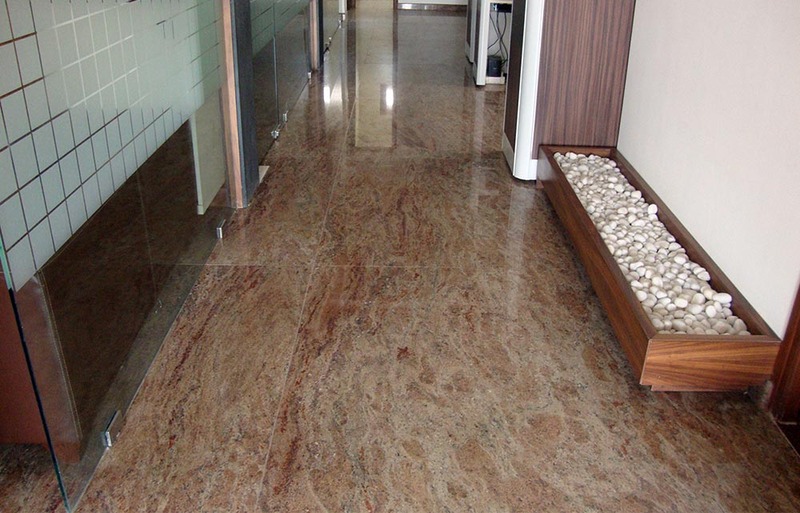 Moreover, granite flooring cost or price always plays a vital role in making a purchasing decision. 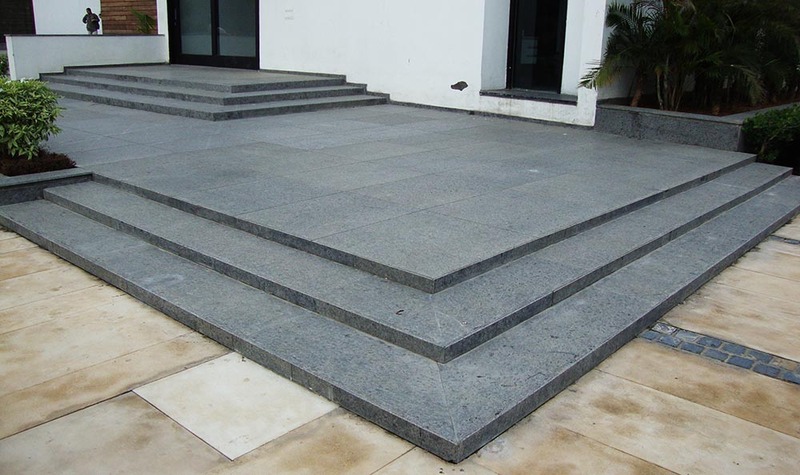 What Indian granite suppliers have for granite floor buyers? It will be hard for you to accept granite as the best flooring material until you compare it with other common flooring materials available in the competitive market. 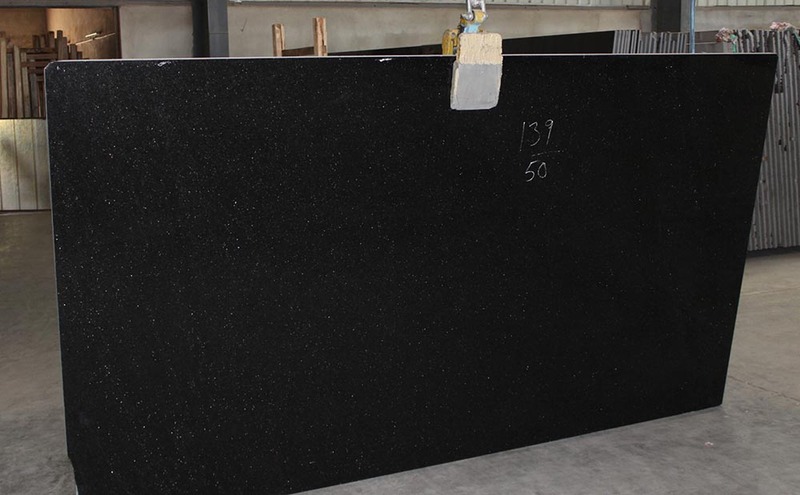 So, compare a granite product with marble, sandstone, limestone product. Remember that marble needs regular maintenance and proper care as it is very soft and flat to cracks. But, the cost of installing marble is very high. Limestone is a soft material product and it simply gets damaged in kitchen and bathroom areas. Continuous accumulation of sand and grit make this stone quite prone to scratches. Granite floor also offers some health benefits over other floor types. There are fewer side effects of granite flooring if you compare this stone with marble flooring health issues. If you are asthmatic or prone to other allergies, granite brings good news for you. For such people, it is an incredible flooring option as it resists bacteria and allergens. 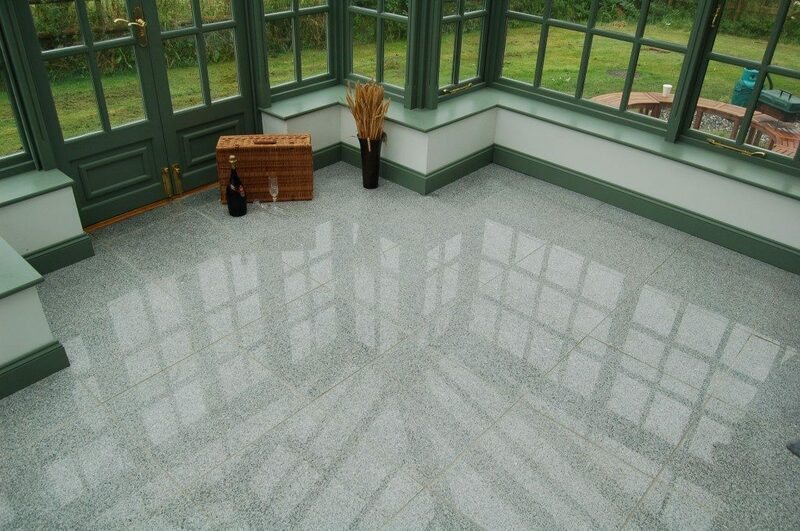 Granite floor is a little bit rough and this feature makes the stone ideal for floors of all sizes and types. It ensures end users no slippery injuries that are most likely to occur with highly polished materials. 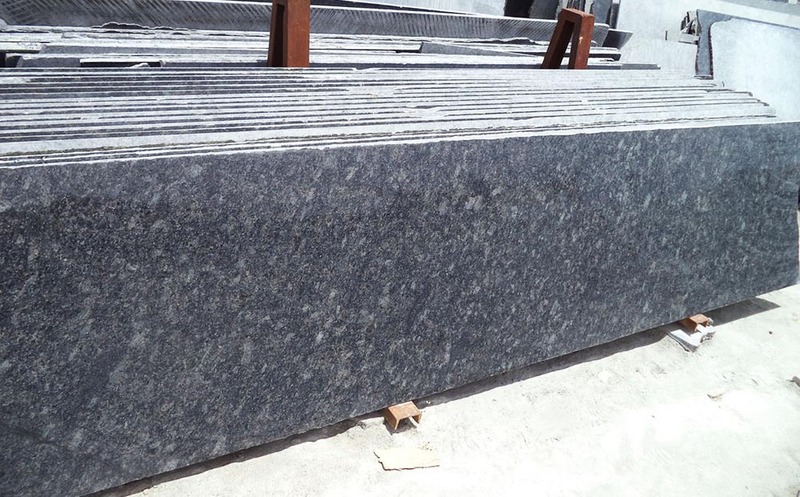 ISO-certified Regatta Granites India, one of leading granite flooring manufacturers and suppliers, offers all global stone buyers and enthusiasts highest quality granite floor tiles and slabs products at a competitive price tag. All tile and slab materials supplied by the company are anti-slippery and perfect for walking on. Interestingly, you can opt for a standard or a customized size as per your changing needs. 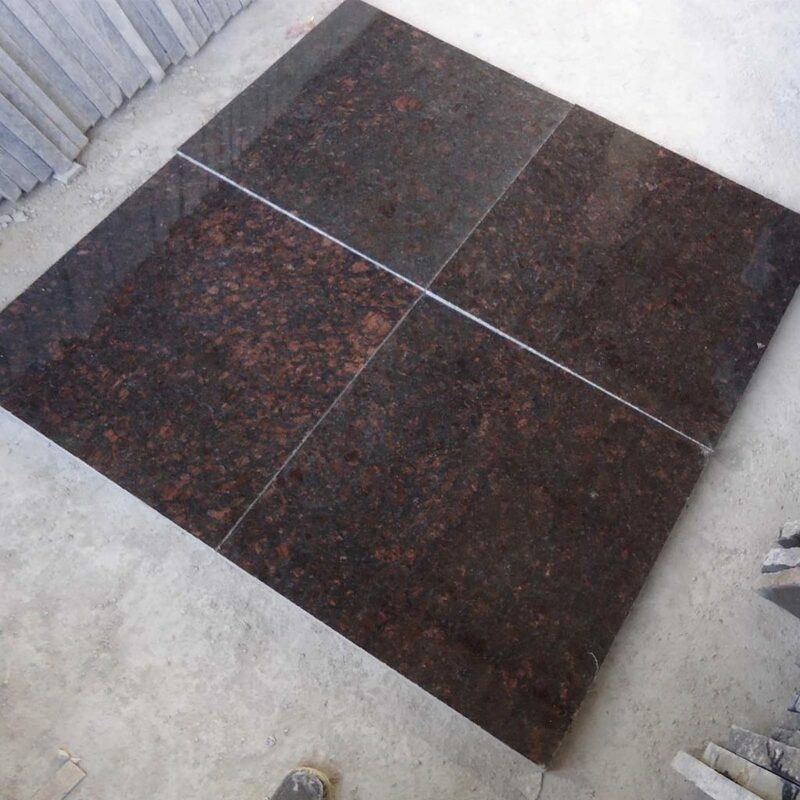 Whether you are searching for granite flooring price in Bangalore or black granite floor tiles with silver fleck surface, Regatta offers the most feasible solutions to global buyers.